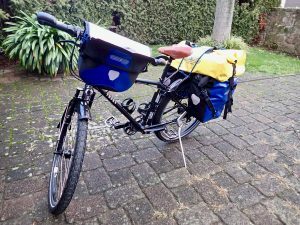 To monitor our expenses and be able to find ways to save money later on I kept track of every single Mexican Peso we spent while bicycle touring the Yucatán peninsula. 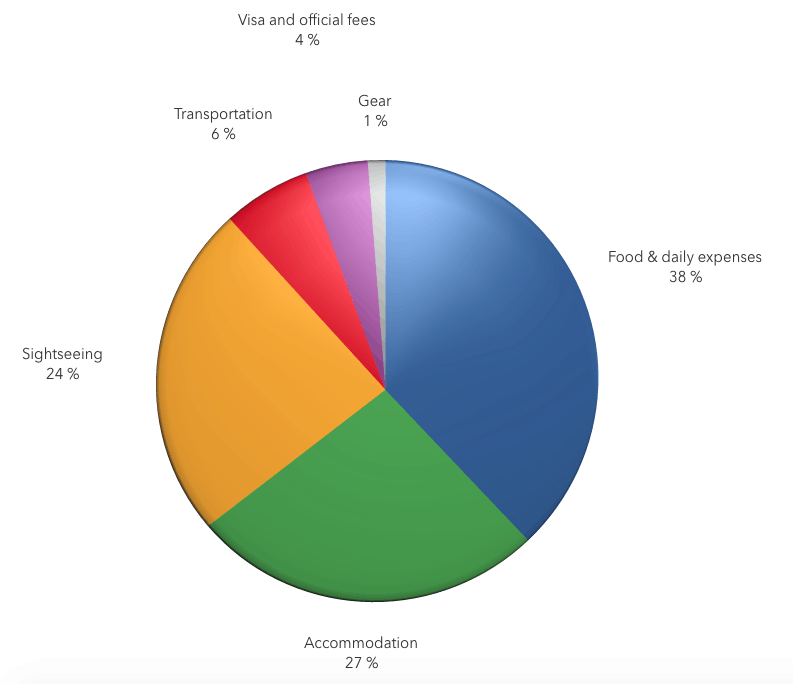 This summary of our bicycle touring costs Yucatán peninsula is the result and the numbers are as accurate as they can be. 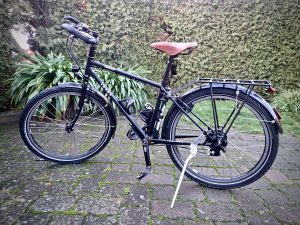 Me and my partner Brad cycled through Yucatán from mid-January until mid-February in 2018. On average we spent 54 US$ per day which makes it 27 US$ per person per day. These numbers represent all our expenses including diving some cenotes in Tulum as well as the entry fees to the Mayan ruins Ek Balam and Chichén Itzá. But now let’s dive into the numbers! How long did we stay? How far did we cycle? How much did we spent? Looking at the diagramm it’s very obvious that food and accommodation are the main cost drivers followed by sightseeing. We did a couple of dives in Tulum and that was by far our biggest expense. On the second place was – surprisingly enough – the exit fee we had to pay at the Mexican border (56,50 US$). The third place goes to our first resupply at Walmart in Cancún which was about 53 US$. I guess we could easily cut some of our expenses by cooking more by ourselves instead of eating at restaurants and camp somewhere for free instead of sleeping in a hotel. For those of you who are interested in more detailed numbers the following table shows the total amount of money we spent for the different categories and the amount of money per person per day. Are you planning to cycle the Yucatán peninsula yourself? 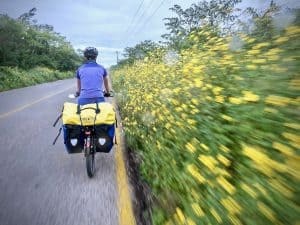 You might find my cycling guide for Yucatán helpful! Have you already been there? How much did you spend per day? Just leave me a comment in the comment section.